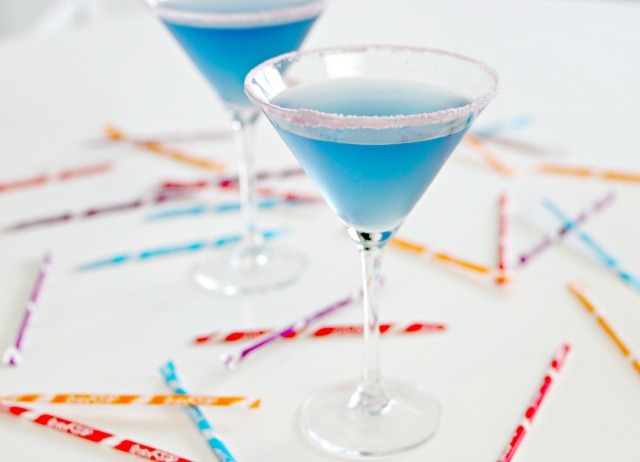 The Pixy Stix™ Martini Cocktail is the perfect treat for anyone who grew up eating Pixy Stix™! It’s the perfect candy cocktail for anyone who loves sweet and tart mixed together. One of our favorite local restaurants here in Lexington, KY is Malone’s. It’s less than a mile from our home, and the perfect place to have a quick bite to eat or a really nice steak. 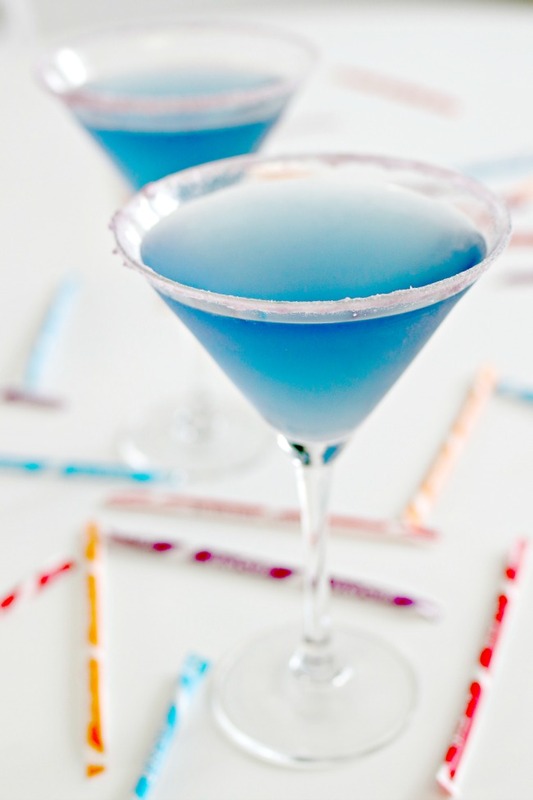 One of my favorite things that they are locally known for is their Pixy Stix™ Martini. It’s definitely a favorite among the ladies, and such a nice treat! 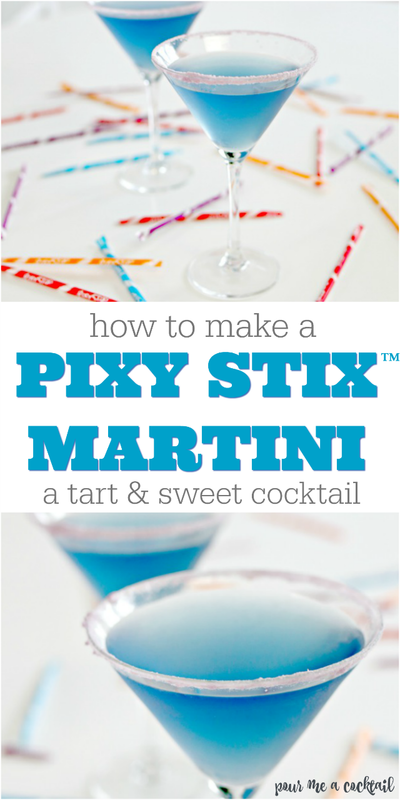 The martini itself is sweet with a note of tartness, and the best part in my opinion is the Pixy Stix™ rimmer. It really takes me back to my childhood, but it’s definitely an adult treat! I love being able to make them at home when we have a party…my lady friends are always super impressed with them, and they are also a great to serve at wedding and baby showers! 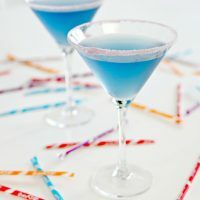 I promise that your guests will be super impressed if you make them this fun cocktail treat! Step 1 – Rim a martini glass with grape Pixy Stix. Step 2 – Add 3/4 ounce of DeKuyper Island Punch Pucker, 3/4 ounce of DeKuyper Grape Pucker, 3/4 ounce of Triple Sec, 3/4 ounce of Vodka and a splash of Sour Mix to a shaker with ice. Step 3- Shake well and strain into the martini glass. Step 4 – Add a splash of 7-Up. Enjoy! Rim a martini glass with Grape Pixy Stix™. Add 3/4 ounce of DeKuyper Island Punch Pucker, 3/4 ounce of DeKuyper of Grape Pucker, 3/4 ounce of Triple Sec, 3/4 ounce of vodka and a splash of sour mix to a shaker with ice. Shake well and strain into the martini glass. Add a splash of 7-Up and enjoy! 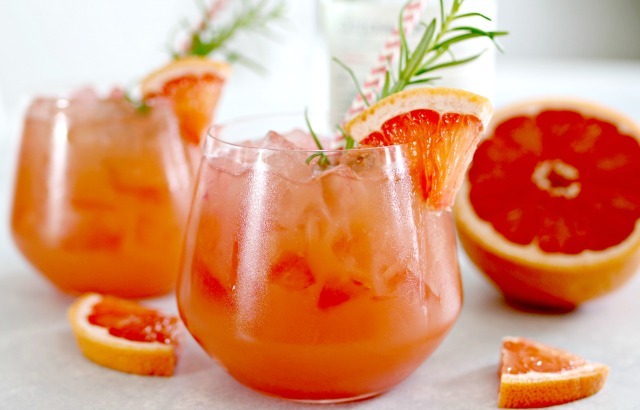 The Grapefruit Sunrise Cocktail is so refreshing, and a great addition to your brunch menu! 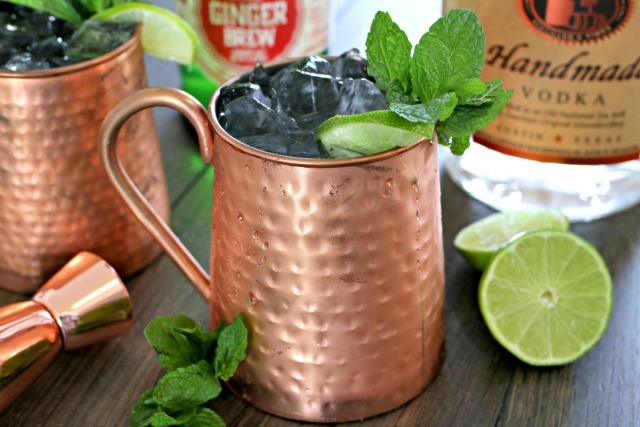 The Classic Moscow Mule Cocktail can’t be beat…it’s super refreshing and so fun to serve up in copper mugs!